Turns out Mika’s mom came home one night and found her husband in the closed garage with the car running. She and Mika moved away shortly after that, and I never saw them again. This was my first direct proximity to suicide, and unfortunately not the last. I thought of Mika again last week when I heard about José Feghali’s tragic death. I played as concertmaster of the Ft. Worth Symphony/Ch. orchestra from 1992-95 and taught at Texas Christian University during that period. José played several times with both orchestras, and our paths often crossed over the years both before and after my time there. 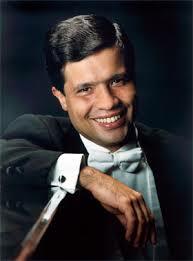 I’d known of José since 1985, when he won the Cliburn and Barry Douglas won the silver. The following year Barry won the Tchaikovsky Competition; I was also lucky enough to get a prize there, along with William Wolfram and David Kim (part of the small American contingent that year). I remember a lot of talk that summer about the Cliburn and José, and the pros and cons of winning something like the Cliburn, which even at that time had a very mixed history regarding the career durability of its top prizewinners. It’s important to keep in mind that this was still an era in which top competitions had a fair amount of career gravity- a Gold at the Cliburn (or Tchaikovsky) generated an tremendous amount of attention, and the winner essentially had about three seasons of maybe 150 major dates lined up before the next contestants would cycle in and the focus would shift to them. So there was often a sort of countdown for anyone that won a top prize; I remember thinking at the time that not everyone seemed to realize what was coming when the competition ended. By the time I met him in 1992, he still seemed to be playing a fair amount; maybe not the biggest dates in the world, but certainly he was sustaining a viable career as a soloist. We’d occasionally share the stage, and I often heard him from the audience- he was a serious pianist, full of commitment, expression, and virtuosity. We weren’t close friends, but I thoroughly enjoyed his warm and gracious character in our limited personal interactions. I saw him less frequently after 1995 but was very much aware of his growing reputation as a teacher and mentor. In the past few years I’d heard rumors of some personal and emotional struggles but attributed that to typical professional gossip. Turns out it wasn’t, as this thoughtful essay from Jim Denton explains (thanks to Norman LeBrecht for this post). Over the years I’ve had my own experiences with the debilitating and sometimes paralyzing effects of clinical depression. Even with that sort of insight, nothing ever prepares you for this sort of tragedy. I have very fond memories of him as a person and artist, and send my deepest condolences to his colleagues and family. Thank you for this fine tribute to a great musician, Frank. It is always sad and surprising to hear when an artist of such stature has been overcome by emotional trouble, but I know it is not uncommon. Thank you so much for sharing your thoughts. How incredibly sad. Frank, I want to personally thank you for mentioning and linking to my column in Norman Lebrecht’s “Slipped Disc” blog. I feel very strongly about getting the truth out regarding José’s inimitable talent & artistic timing. It was an honor to perform with him and subsequently release together the recording of that performance. José was my best friend for 32 years and I will miss him greatly for a long time!